Pumpkin Protein Powder (PPP) provides a certified organic gluten-free vegetable source of whole food protein. PPP offers 40 servings per container and does not contain additives, dairy, egg, fillers, flavors, nuts, preservatives, soy, sugars, wheat or yeast. PPP contains all 18 amino acids including the 10 essential amino acids. With over 60% protein, PPP has a great biological value and is highly digestible. 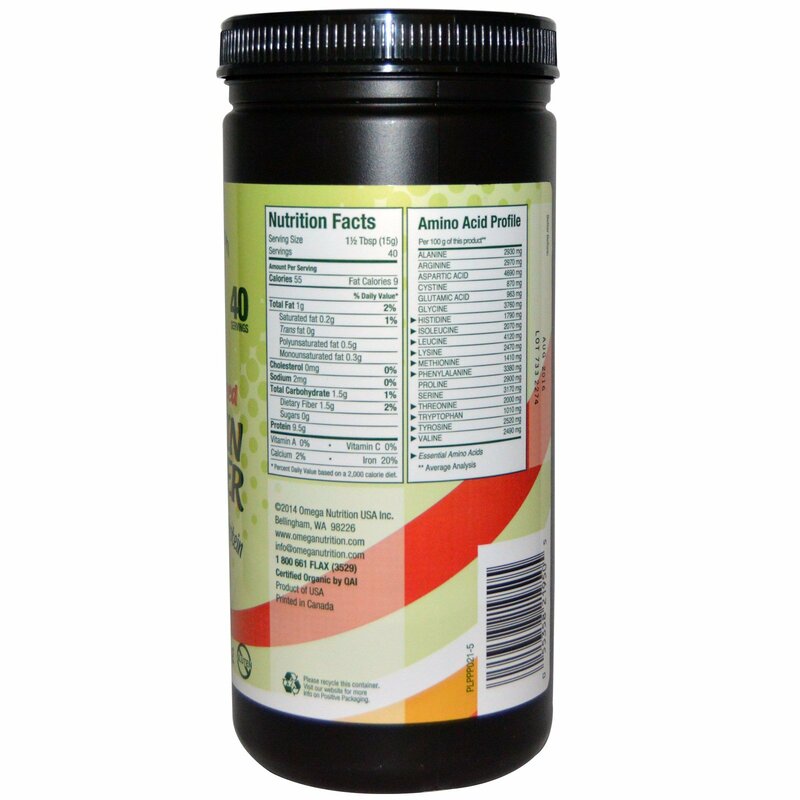 This product is suitable for vegan and vegetarian diets. 1-2 Servings per day. Mix 15 grams (1/2 tbsp) in hot or cold cereals, juices, smoothies / green drinks, yogurt or your favorite beverage. 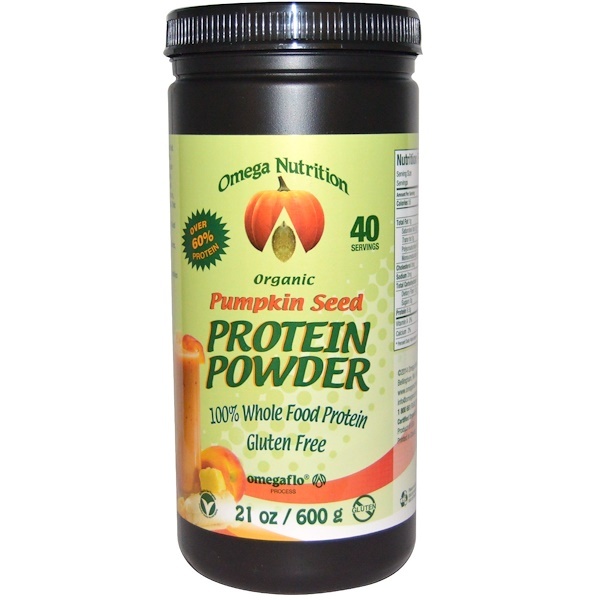 Partially defatted certified organic pumpkin seed protein powder. Contains No: additives, bleaching agents, dairy fillers, flavors, gluten, hexane, nuts, preservatives, soy, or sugars. Refrigerate after opening to extend shelf life. Do not purchase or use if the inner seal is broken.